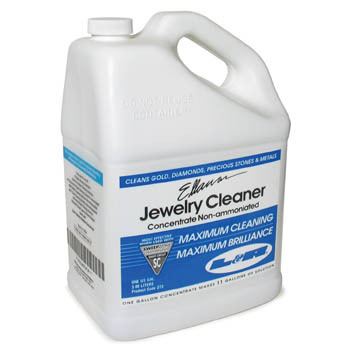 The ideal solution for all jewelry cleaning without the added ammonia. Cleans safely and effectively and works magnificently on gold, diamonds and gems. One Gallon. Additional $5.00 per gallon shipping charge applies. Cannot be shipped with other merchandise, by air or outside of the continental U.S.